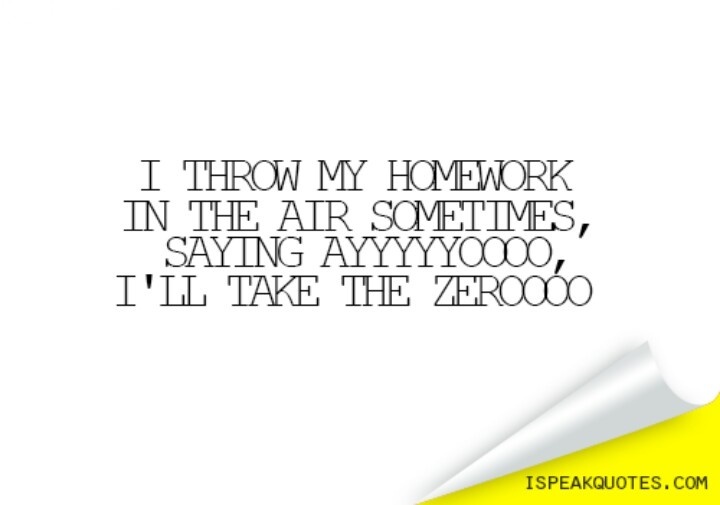 When I was in school there was the rare student who wasn’t frightened by the threat of a zero. It didn’t matter how hard a subject was, or how much homework was given, there was at least an effort given by most students to make sure they didn’t get that zero. Remember “the dog ate my homework”? That was an excuse meant to try and get more time to complete that homework and get at least some points for it. And parents supported teachers in their efforts to get students to take their work seriously. But now, I’m not really sure what’s happening at home, but more and more students come to school with a different type of mentality, one that embraces only those things the student already feels comfortable with, and fights off anything else. That means if the student is good at English, he/she will do all the work for English and get good grades in the subject. But if it’s math, and the student despises math, and/or has decided it’s too hard, that same student will give up and stop even trying. Regardless of the threat of the zero. It doesn’t matter if the presentation is five minutes or ten, if the class is full of 30 students or 10, or even if the subject matter is one the student normally does well in. Regardless, the result is the same. They will rather take the zero than get up in front of the class and deliver a speech, or even present an orderly PowerPoint slideshow. In fact, they’ve already done the math and either realized that their other work will compensate for the zero, or that they’re low enough that the zero won’t drag them down that much lower, so it doesn’t matter anyway, in their own heads anyway. This is because all they want to do is pass. When they get their report cards the only thing out of their mouths anymore is, “I passed.” That’s it. 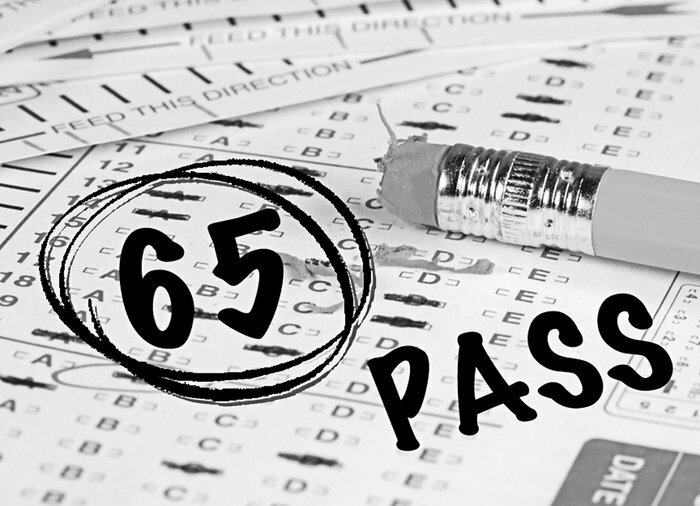 No matter if they passed with a 66 or with a 98, the key is that they didn’t fail, so nothing else matters. It doesn’t matter if they made honor roll or not, if they got positive or negative comments, or even if the teacher warns them that if they continue on this path they won’t be so lucky next time. As long as they passed, that’s good enough for them. Which is why they feel okay in taking the zero, so long as they pass overall. They are passing, too, which is the sad part, because for too many students the occupation they want in the future requires them to do some form of interaction with others, to get up in front of a team and present, to be the focal point in a group, or even just to talk coherently with others. And if you listen to them speak to each other, you can see that this is something they desperately need even now, while they’re still in school, not this hands-off approach that is predicated on merely passing and not on making the most of their education, or doing what they need to do in school — learn. This “I’ll take the zero” mentality is so frustrating to me, as a teacher, because it shows the lack of work ethic that is so prevalent in our society, and it outlines exactly why the pervasiveness of that mentality will continue for the foreseeable future. It begins at home, and what is valued in the house growing up, and it continues in school where the kids are given the opportunity to make something of themselves. And passing it up. Because they’d rather take the zero than learn and grow.